A must see for lovers of action movies. Apparently Robert Frost was wrong. The world shall not end in fire or in ice, but rather a plague of banal characters, bad dialogue and a host of angelic-possessed mankind who turn into shark/Spiderman hybrids when angry. Legion tries so hard to make the Apocalypse interesting. In fact, for the first half hour or so, it almost pulls it off. You have Michael, the former angel-turned lead farmer. 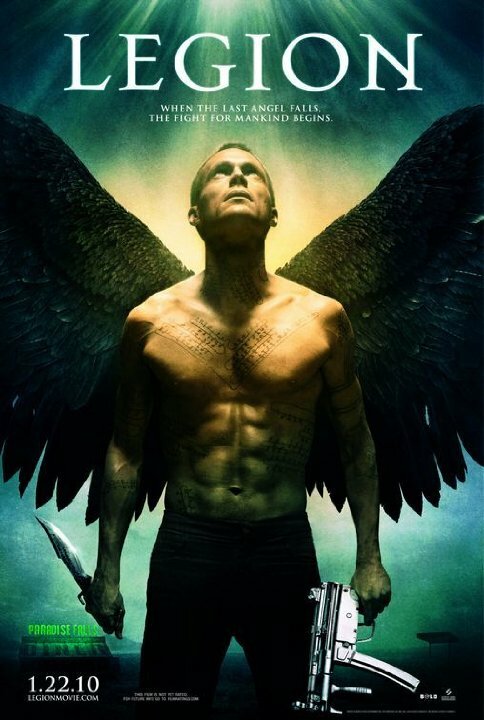 Paul Bettany does his best playing the fallen angel and he's the best thing about the film. He's not on a mission from God anymore; he's on a mission to snap God out of his funk. You see, he's doing was God needs, not what God wants. No posts have been made on this movie yet. Be the first to start talking about Legion!